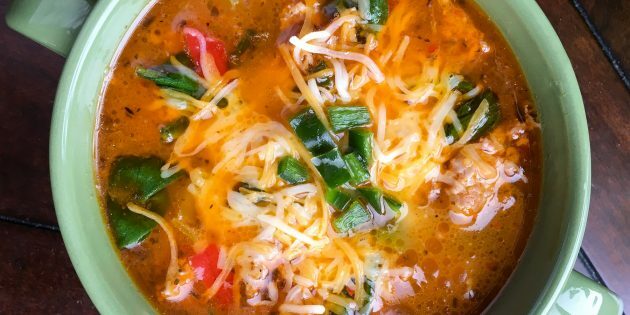 This delicious gluten free sausage soup doesn’t need to simmer for hours to develop great flavor. 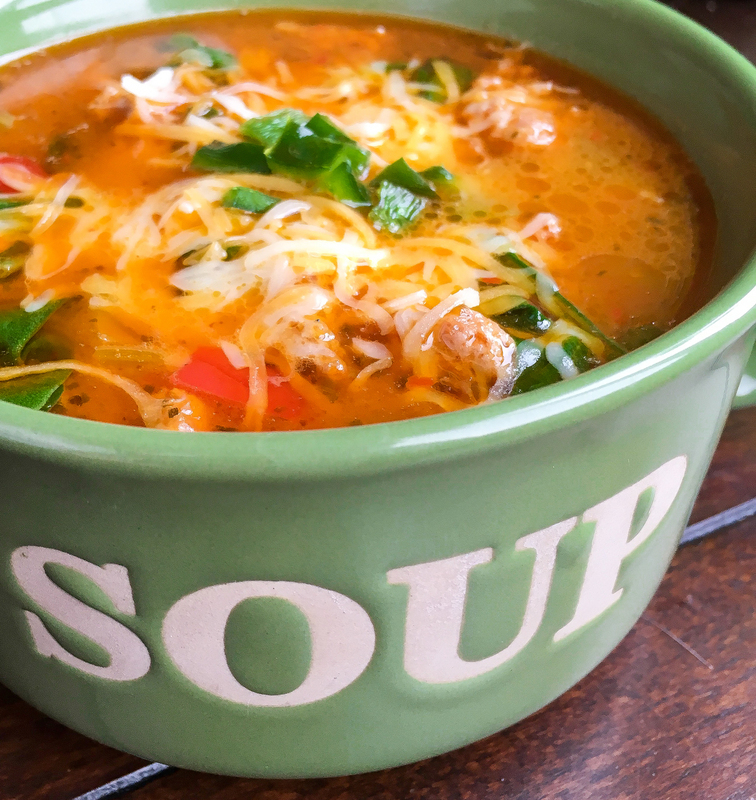 Thanks to a satisfying combination of spicy Poblano pepper, classic herbs, and an interesting blend of spices, this soup delivers lots of fantastic flavor in just over half an hour. This soup is great as a hearty appetizer or as a satisfying light meal when paired with a green salad. As an added bonus, it tastes even better as leftovers for lunch the next day! Heat olive oil in a large soup pot or Dutch oven over medium-high heat. Add sausage and cook, stirring occasionally, until the sausage is no longer pink inside, approximately 5 minutes. As the sausage cooks, break it into small pieces with a wooden spoon. Add the red and Poblano pepper, celery, basil, oregano, rosemary, chili powder, cumin, and cinnamon to the pot. Generously season with salt and black pepper, to taste, and stir to combine. Cook, stirring occasionally, until the veggies have softened, around 5-6 minutes. Add the chicken stock to pot and simmer for 20 minutes, stirring occasionally. Add the spinach and cook for another 4-5 minutes, or just until the spinach wilts. Remove from heat and serve immediately, topped with shredded Cheddar Jack cheese and some additional diced Poblano pepper, if desired. If you click on any of the links associated with this post we will receive a small commission!! Thank you for your support it is greatly appreciated!! I do a ton of cooking in my dutch oven. If your looking for one that will last you a life time look no further! I use mine almost daily and I love it! 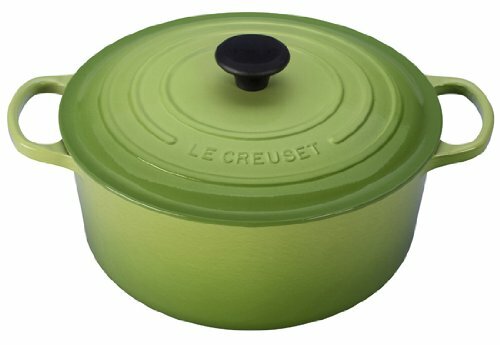 Its the Le Creuset Dutch Oven. It has an enamel coating that resists chips and makes clean up a breeze with no seasoning or having to worry about rust like some other cast iron pans. Dutch ovens tend to be on the heavier side of life but this one has handles they are big and fit perfectly in my hands to make moving it a lot easier. Click on the link or the picture and it will bloop you over to where you can get one for yourself or a loved one, hope you will enjoy it as much as I do! !